photo from the 19th district's CAPS office. A surge in bicycle thefts has prompted our neighborhood's 19th police district to spearhead a new bike registration initiative. 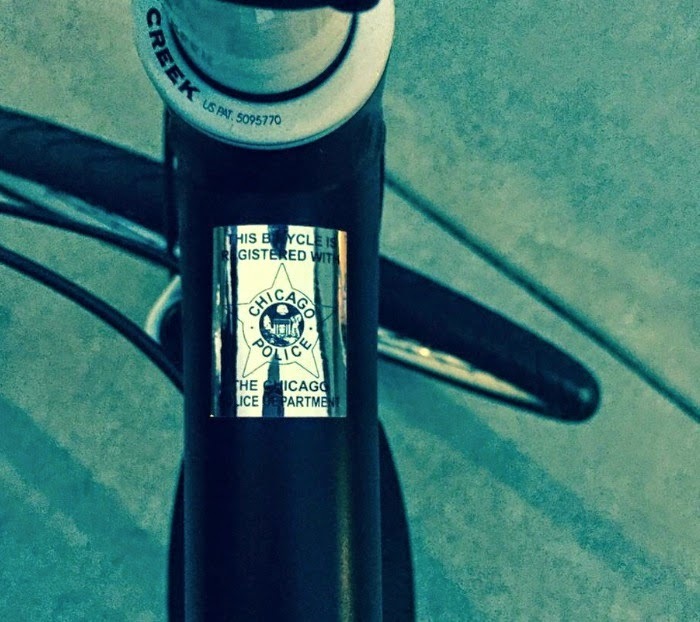 Bicycle owners who register their rides with the police department online can then stop by the 19th district station to pick up one of the shiny, tamper-proof warning stickers. Thieves are more likely to be caught during the sale of a stolen registered bike. So, the crooks are less likely to steal registered bikes in the first place, police say. The CPD online bike registration site is HERE.